Can you say, “Mycotrophic Wildflowers”? Do you love new vocabulary as much as I do? When I learn a new word I want to work it into my everyday vernacular. Mostly so I can try to sound smart. But this post isn’t about my inferiority complex, it’s about wildflowers! Well, kind of. What has no chlorophyll, parasitizes the hyphae (filaments) of a mycorrhizal fungus, and looks like alien asparagus? 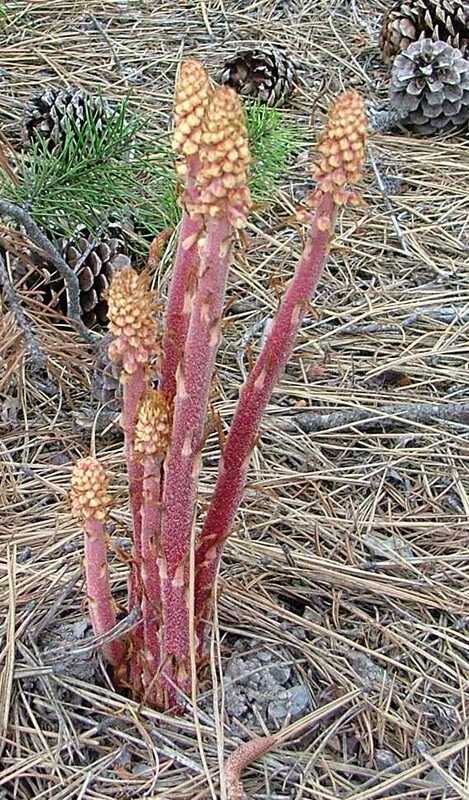 Pinedrops (Pterospora andromedea). Or as I like to call them, Freaky Alien Asparagus.